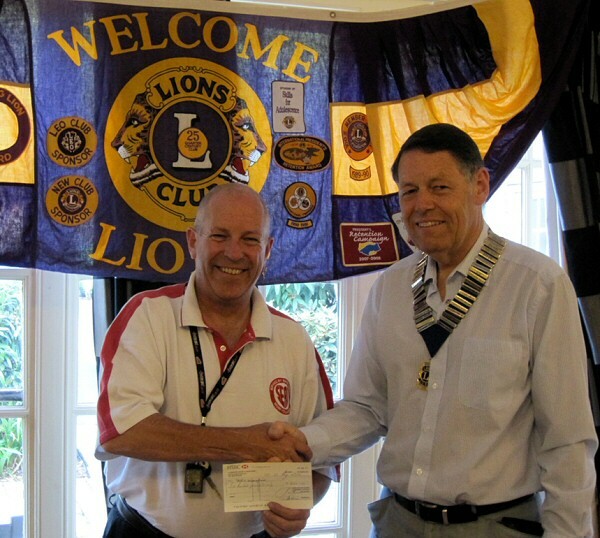 Photo shows Alton Lions President Graham Dix (right) presenting a cheque for £600 to Graham Smith of Service by Emergency Rider Volunteers (SERV) in Hampshire. The money was raised from the Alton Lions Charity Film Night showing, at the Palace Cinema, of ‘Its Complicated’ starring Meryl Streep. SERV, also known as the ‘Blood Runners’, is a charitable organisation that delivers emergency blood products to hospitals across Southern England at night free of charge. Many lives have been saved by the service provided by SERV, which is run by volunteer motorcyclists, who give their time their time, petrol and bikes and to help others in need of emergency supplies of blood. Alton Lions are part of an international network of people working together to solve the challenges facing communities across the world. Alton Lions enjoy the challenge of recognising the needs of our community and of seizing the opportunity to make a difference and have fun doing it!